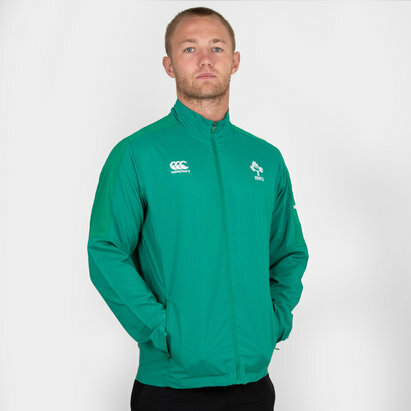 Don't let the weather put you off from looking your best whether in training or at the Aviva Stadium in this Ireland IRFU 18/19 Padded Rugby Jacket from Canterbury. 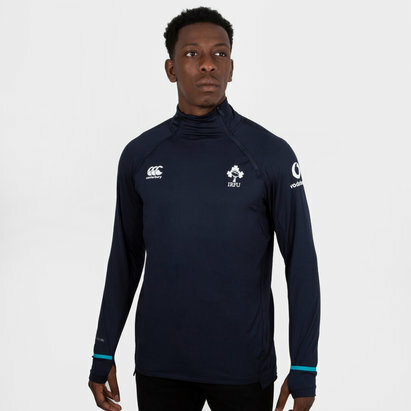 The Ireland ThermoReg Padded Jacket offers protection against all conditions, with lightweight padding to the body and sleeves and a woven fabric overlay, featuring ThermoReg technology to keep you warm. Cuff adjusters ensure a secure fit to protect around the sleeves, and the dropped back hem eliminates garment rise for additional protection. Zipped pockets keep valuables safe and dry. 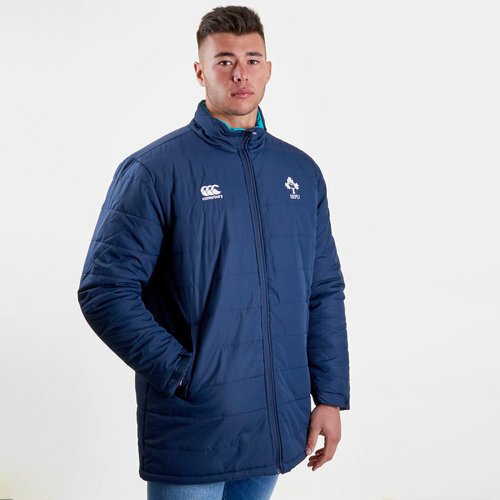 This jacket is navy. The CCC badge is on the right whilst the Ireland Shamrock badge is on the left.